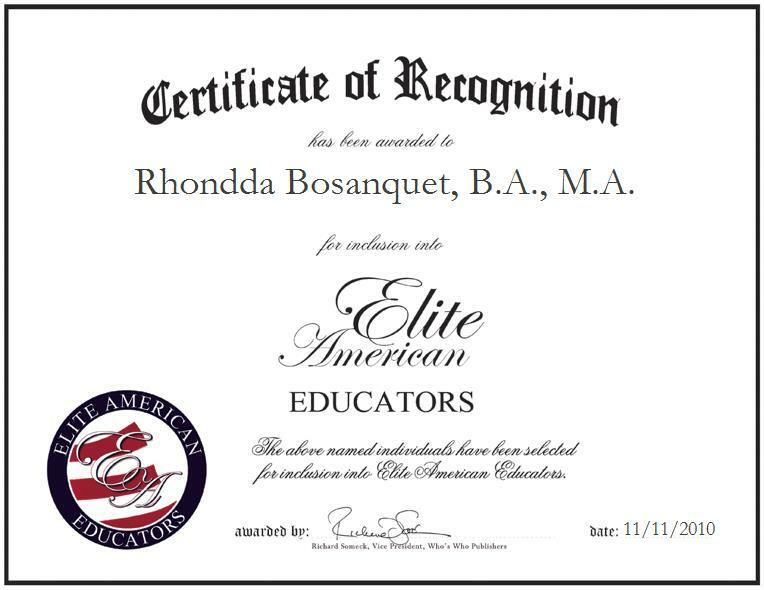 Indianapolis, Indiana | November 11, 2010 | Rhondda Bosanquet, B.A., M.A., Teacher at Elder W. Diggs Elementary School, has been recognized by Elite American Educators for her dedication and expertise in special education. 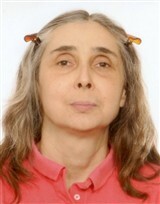 As an educator with over 35 years experience, Ms Bosanquet teaches basic skills to disabled students. She enjoys the opportunity to work with special needs children and attributes her success to her compassion and understanding with her students. She strives to provide the best education and care for all her students and is grateful to have the opportunity to watch as her students succeed. With her own child dealing with the struggles of developmental disabilities, she understands the struggles of her students’ parents, but she also knows the joys of watching as a special needs student learns and grows. As an experienced educator she advises to ensure you love working with children before seeking a career in education; to be successful one must love what they do. Ms. Bosanquet earned a master’s degree in secondary school administration, plus 12 credits from Butler University and a Bachelor of Arts in special education from Indiana University. She retains affiliations with the National Alpha Lambda Delta Society and has been in her current position at Elder W. Diggs Elementary School for the past 11 years. For more information about Rhondda Bosanquet and her expertise, please visit her personal website at http://www.rhonddabosanquet.com. Contact Rhondda Bosanquet B.A. M.A.